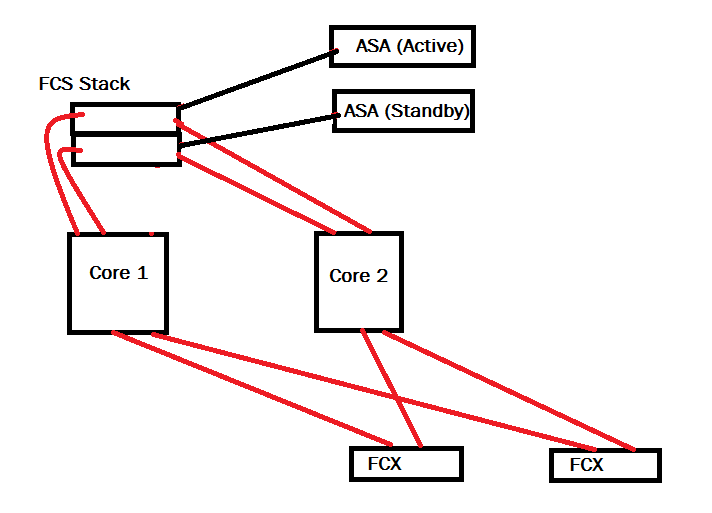 I thought I would put up a config of two FastIron SuperX core switches I put in a little while back. Both switch configs are below. The topology was pretty much what you see below, except that there were more access switches in place. Internet comes off the ASAs of course.